beneath the hand of dusk. its sharp hooves in the loam. Yesterday June 19, 2011, I posted about E Street Sax Man Clarence Clemons aka “The Big Man” who headed off stage for good. Saturday June 18, 2011 I posted about the George Hitchcock Memorial Poetry Reading & Art Show Saturday, Carnegie Oxnard; I participated in that by reading 4 of George Hitchcock’s poems. Friday, June 17, 2011 I wrote a bit about Johnny Cash, who lived in Ventura County (I even lived around the corner from his former wife) in “Celebrating the Man in Black: Roadshow Revival Saturday. And earlier in the week, 0n June 14, 2011, I wrote about The Wrecking Crew, a film which memorializes the musicians behind many of the greatest hits of the 60s and 70s, many of whom died before getting much in the way of recognition. You might even say Ron Well’s guest post of June 7, 2011 which reviewed Herzog’s “Cave of Forgotten Dreams” is a memorial for the people who past 30,000 years ago and who left such mysterious and haunting traces behind. 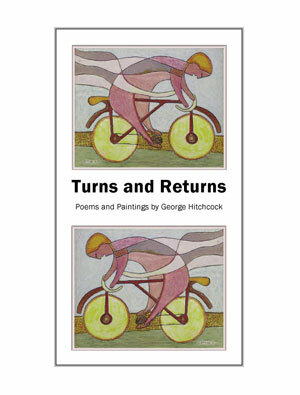 So for today’s Monday Poetry Train, I am posting one of the poems I read by George Hitchcock and which has widely been anthologized; you can find it in Turns and Returns: Poems and Paintings by George Hitchcock published by Philos in 2002 ($12.95) as well as in One Man Boat: The George Hitchcock Reader from Story Line Press 2003 ($18.95). These are both wonderful collections and I am so happy to have purchased them both at Saturday’s event (thanks Jackson!) If you come across either one, I am sure you will enjoy these wildly imaginative surrealist works. 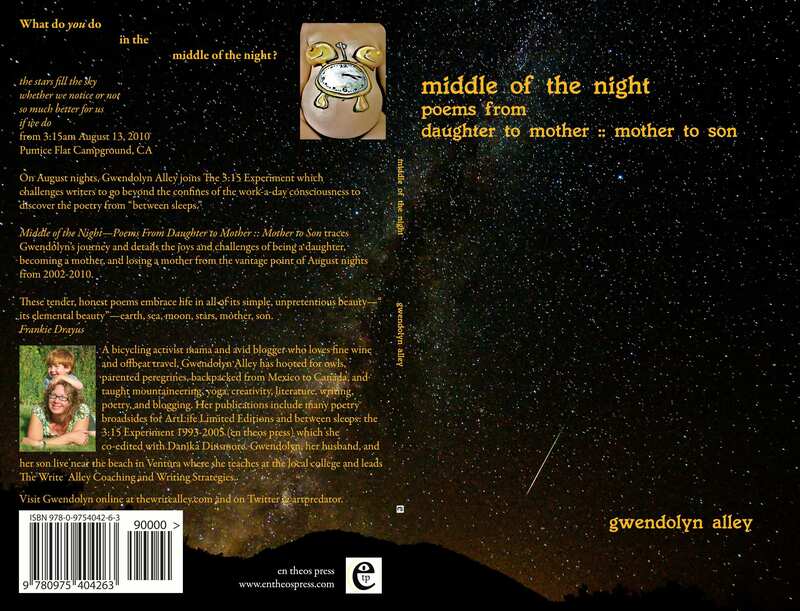 You can buy my new book of 3:15 experiment poetry Middle of the Night Poems from Daughter to Mother :: Mother to Son from en theos press in print or ebook or from Amazon). Read sample poems here. Read a review by Robert Peake here. You can also join me at Ventura College on Monday; I’ll be reading poems and discussing writing process at two free workshops that are open to the public. For more poetry by bloggers from all over the world, catch the Monday Poetry Train!